US President Donald Trump said yesterday he would lift economic sanctions linked to North Korea - just 24 hours after they were announced. 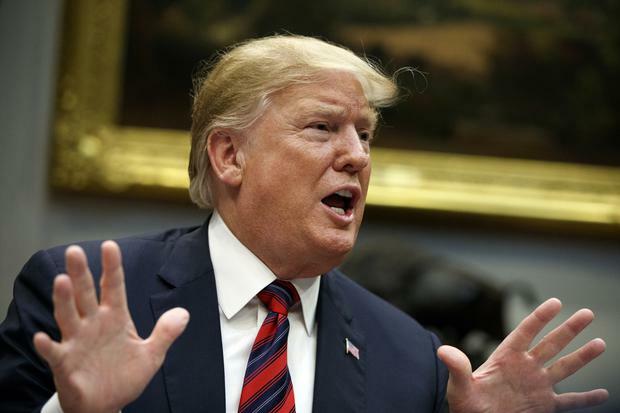 In a bizarre about-turn, Mr Trump tweeted that he would withdraw the measures against two Chinese shipping companies accused of helping Pyongyang defy existing sanctions. No detailed explanations were given for the change of heart by the US president. The U-turn was embarrassing given that both Steven Mnuchin, the US treasury secretary, and John Bolton, the White House national security adviser, had endorsed the sanctions on Thursday. Sarah Sanders, the White House press secretary, said of the decision to withdraw them: "President Trump likes Chairman Kim and doesn't think these sanctions will be necessary." It was the first time fresh sanctions over North Korea had been imposed since Mr Trump and Kim Jong-un's talks in Vietnam collapsed without a deal on denuclearisation last month. Mr Bolton, who is believed to have pushed for a tougher line on Pyongyang, had tweeted that the sanctions amounted to "important actions". Mr Mnuchin was quoted in a press release saying: "Treasury will continue to enforce our sanctions, and we are making it explicitly clear that shipping companies employing deceptive tactics to mask illicit trade with North Korea expose themselves to great risk." One possible cause for the change in US position was North Korea's decision yesterday to pull out of an inter-Korean liaison office - a step back from the country's dialogue with its neighbour in the South.